We are Number 1 for a reason! Our product is some of the Top Selling Canada and USA! on our Facebook or Instagram Pages. 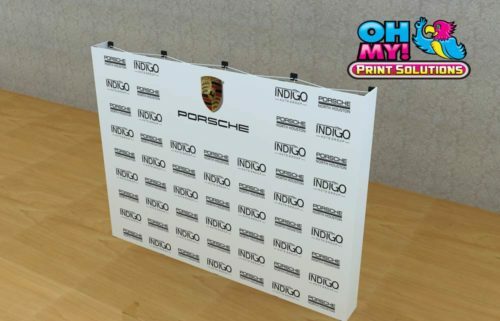 Step and Repeat Red Carpet Backdrops are used for all sorts of events such as Award Shows, Weddings, Birthday Parties, and Trade Shows. 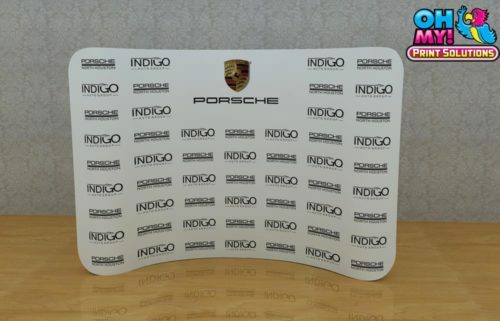 Our Premium Quality Fabric Logo Walls absorb a flash camera flash (non-glare) rather than reflecting it with materials such as vinyl. Our thick heavy duty fabric ensures they are not “cheap looking”. It is opaque and non-see through. 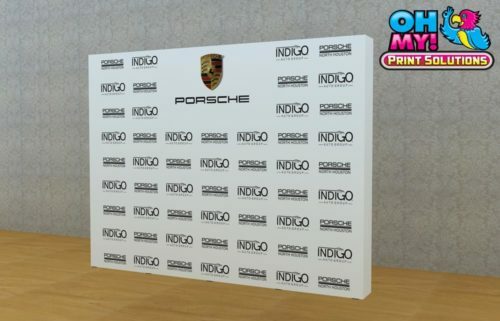 Step and Repeat Walls are perfect to advertise your Corporate Brand as your attendees will pose in front of them, take selfies and then post on social media for free viral marketing. 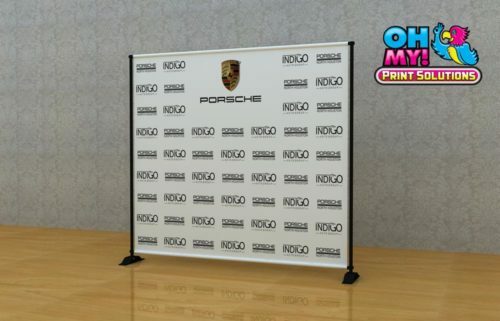 Furthermore a Step and Repeat ensures that your guests feel like the VIP’s that they are, especially when combined with a Red Carpet, Stanchions and Professional Photographer. Low prices, we won’t be beat! 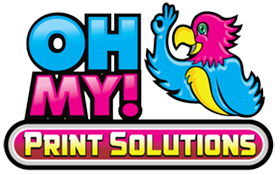 We are here to help, typically at no cost, or you may design your own! This is a budget-friendly option. Our stand is of high quality to its look-alikes. It has thick metal poles & it is built to stay fit. Our Top Selling Logo Wall! Are you a looking for a premium step and repeat? This is your top choice. 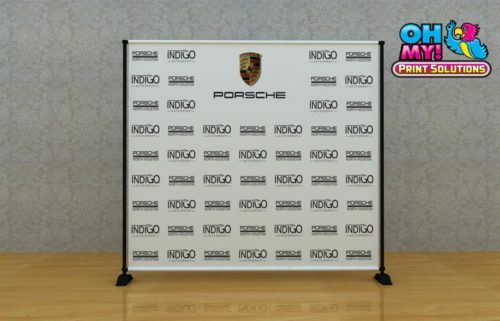 A Flawless Wrinkle Free backdrop with “pillowcase” style easy installation. This stand has the fastest set up. It comes with an “Accordion Style” collapsible frame. The Logo Wall adheres to it with Velcro. End Caps (Sides) are optional. 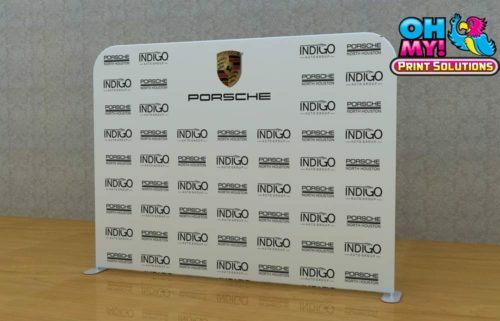 We can do Step & Repeat Media Logo Walls in several ways depending on your needs. Tension Fabric Walls are the most popular, Our personal favorite! 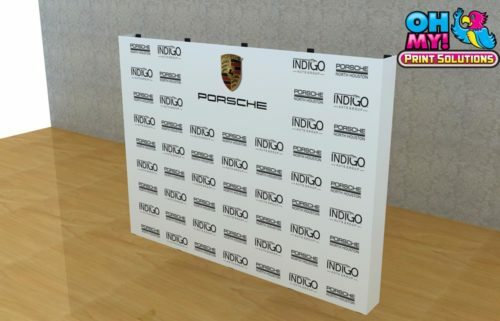 What is a Step and Repeat Logo Wall? 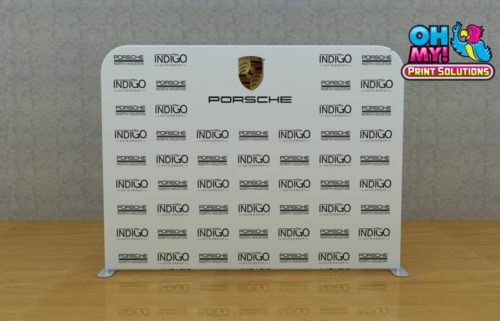 A Step and Repeat Logo Pattern is a set of Staggered Logos, Text or Pictures. 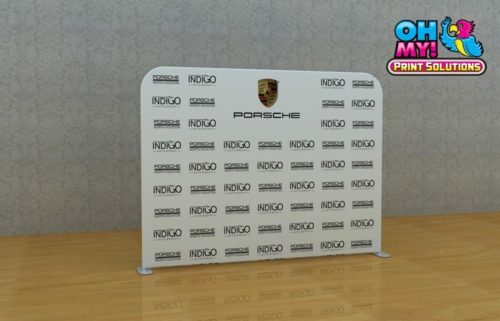 They are useful for Red Carpet Events, Press Conferences, Awards Nights, and Birthday Parties. They are set up in an area at the place generally people will walk or stand in front of the display to have their photo taken or to give a television interview. The logos are visible at the back of the person, it is good for your branding. Illustration of this step and repeat printing speeches, news conferences, press events and in Hollywood Style Red Carpet events at the place a walkway is set up for paparazzi photo opportunities! We suggest using fabric backdrops for they are non-glare and absorb the light from a camera flash & do not reflect it. Vinyl vs Fabric Backdrops, this blog will help you understand the difference. Wikipedia has more info. Can you assist with graphic design? Yes! On occasions, it can be free of charge. Simply send your logos in vector format and we can assist you. Step and Repeat Backdrops can be made in several ways. 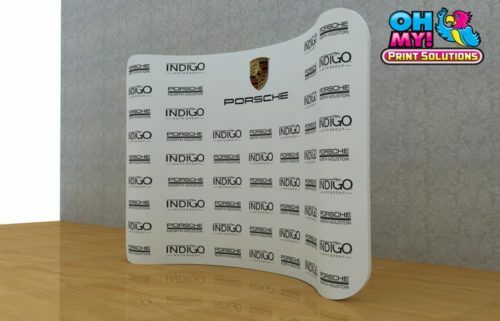 The common ways are vinyl, fabric, poster paper, canvas or adhered onto a hard substrate including plywood or foamcore. Each has it’s own sets of pros and cons. Fabric is less likely to have hotspots in photography it means it tends to absorb a flash & do not reflect it. Vinyl is heavier duty and sometimes has bright & vibrant images. The support structure can vary depending on size. 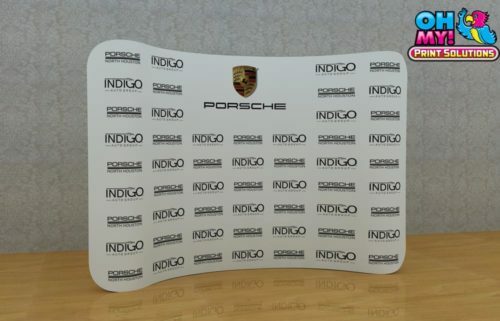 Standard trade show display frames are often useful, or you can hang it from or apply on a wall. Free Shipping to places in Canada to places including Vancouver, Calgary, Edmonton, Regina, Toronto, Ottawa, London, Montreal, Quebec, Halifax and more. We offer free shipping to the USA to states and cities including Seattle, Los Angeles, San Francisco, San Diego, California, Texas, Houston, Austin, Mississippi, Memphis, Miami, Florida, North and South Carolina, Ohio, Boston, New York, New Jersey, Las Vegas and more. Free Shipping Worldwide to places including Panama, Colombia, Brazil, Caribbean, Mexico, Virgin Islands, London, UK, Amsterdam, Belgium, France, Spain, Italy, Qatar, Dubai, UAE, India, Singapore, Malaysia, Hong Kong, Japan, Korea and more.